Nothing in the appearance of NEO Easy Motion bikes suggest that they are electric. Their exclusive design, patented by BH, makes the NEO a stylish and attractive bicycle that conceals a powerful battery in its frame and offers autonomy of up to 90 kilometres. Thanks to its accelerator, it allows riding at 6 km/h without having to pedal. 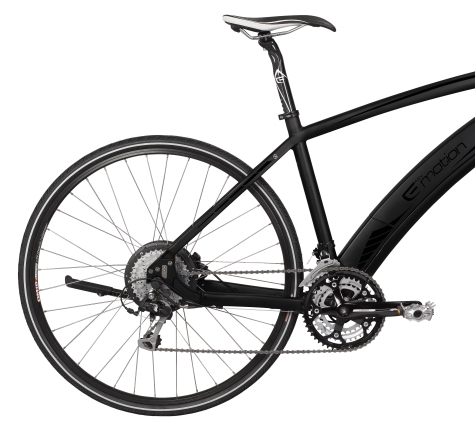 BH’s NEO Easy Motion range won the 2011 Eurobike Award for best design and functionality in the hybrid bicycles category. This prize is awarded to especially innovative products that have high quality standards. In addition, Extra Energy – the reference body in electric bicycles in Europe, has awarded the NEO model the “Very Good” rating award. These awards are proof of the commitment that BH has with innovation, design, quality and sustainability. There are city, foldable NEO bikes for riding on the road and also MTBs for cross-country riding with full suspension and 29″. They stand out for their light weight, which varies between 19 and 24 kilos depending on the model. A 350W motor, which has been limited to 250W that regulates the motor’s operation and completely eliminates noise when the motor is engaged. In the Neo range, the motor and torque sensor are located on the rear of the frame, and they provide the rider with a smooth and immediate assistance without any uncomfortable pulls. The battery used in the NEO bicycles is completely extractable and can be charged in a very short time. An 80% charge is obtained in just two hours and 100% in four. Samsung’s battery system is proprietary to Easy Motion. It has a battery life of around 35,000 km. It is capable of retaining 80% of its original charge. It is, without a doubt, one of the batteries with the largest charging capacity on the market – up to 90 km on ride mode – and its consumption is similar to the batteries used in mobile phones. 1:0,7 Obtain 70% extra power in each turn of the pedal. 1:1,4 Obtain 140% extra power in each turn of the pedal. 1:2 Double the power in each turn of the pedal. 1:3 Triple the power in each turn of the pedal. If you are tired and you don’t feel like putting in any effort, with the NEO bicycles you will be able to travel at a speed of 6 km/h without having to pedal at all. All you have to do is push the accelerator button on the LCD display screen. With NEO bicycles, you can choose from four types of progressive assistance until reaching a 1:3 assistance ratio (user effort: motor effort) The pedal assistance selection is carried out by means of an intuitive and completely extractable LCD display located on the handlebar.